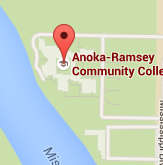 Have you received your acceptance letter for the PSEO program at Anoka-Ramsey? Congratulations! You now qualify to complete a PSEO orientation session. Complete your PSEO Advising Form. Meet with your high school counselor, dean, or school official and complete the Advising Form prior to your orientation session. Need a new form? Click here. 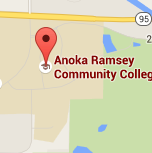 If applicable, send official transcripts of AP/IB scores to Anoka-Ramsey. If you have not completed an AP or IB course, you do not need to complete this step. Our team is so excited to meet you! Below is our schedule so you know what to expect for the day. Our admissions staff will talk to the group about general college information, PSEO-specific policies, campus resources, and will give a registration tutorial. Students will break into small groups of 4-5 and meet with their assigned academic advisors. Advisors will provide students with course recommendations, help them check their Anoka-Ramsey accounts, and show them how they can connect with their advisor through their student email. April 29, 2 to 4:30 p.m.